李秀坤, 杨阳, 杨梅. 水下目标回波与混响的分数阶Fourier域盲分离[J]. 哈尔滨工程大学学报, 2019, 40(4), 786-791. DOI: 10.11990/jheu.201709135. LI Xiukun, YANG Yang, YANG Mei. 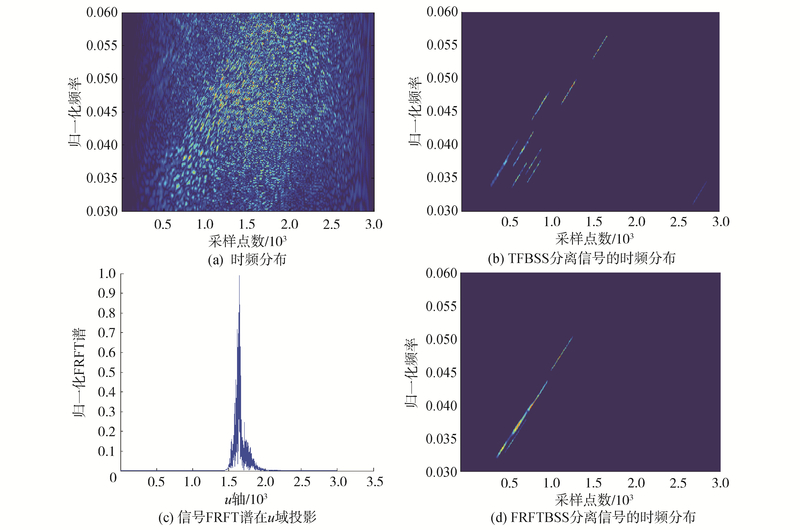 Blind source separation of underwater target echoes and reverberation in fractional Fourier domain[J]. Journal of Harbin Engineering University, 2019, 40(4), 786-791. DOI: 10.11990/jheu.201709135. 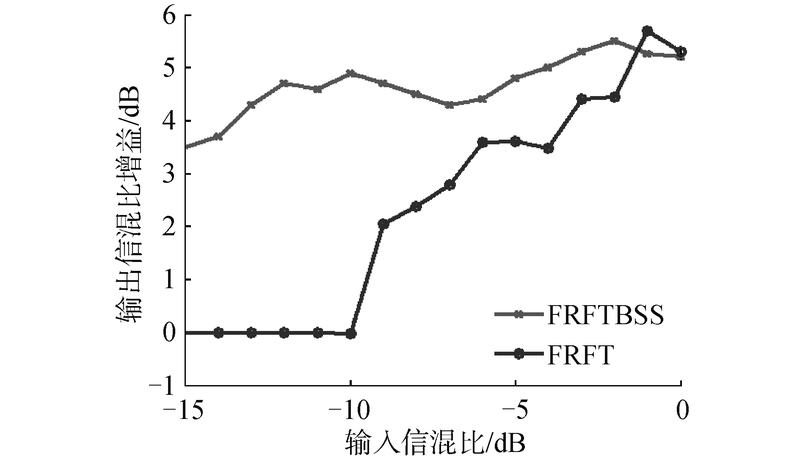 Abstract: Seafloor reverberation is the main interference for active sonar echoes, especially for targets buried in the bottom.The target scattering echoes are weak because the buried layer is characterized by strong absorption of sound waves.To solve the weak signal separation problem under strong disturbance, the energy aggregation differences in the optimal fractional Fourier transform domain was studied.On this basis, a blind separation algorithm for target echo and reverberation in fractional Fourier transform domain was presented, deducing the energy distribution characteristics of the target's geometrical sound scattering components and reverberation in the best fractional Fourier domain.By constructing the generalized correlation matrix of the objective function in the best fractional Fourier domain, the target acoustic scattering signals were separated through approximate joint diagonalization.Simulation and data processing results show that the blind separation algorithm in the fractional Fourier domain separated the target acoustic scattering signal and improved the signal-to-reverberation ratio (SRR) of the target echoes.Compared with the blind separation algorithm in time frequency domain, the proposed algorithm avoids the selection of self-term time-frequency points and improves the separation performance in low SRR. 杨阳, 李秀坤. 水下目标声散射信号的时频域盲抽取[J]. 物理学报, 2016, 65(16): 164301. 王强, 潘翔. 水下沉底小目标回波的短时FrFT滤波分析[J]. 浙江大学学报:工学版, 2008, 42(6): 918-922. 李秀坤, 孟祥夏, 夏峙. 水下目标几何声散射回波在分数阶傅里叶变换域中的特性[J]. 物理学报, 2015, 64(6): 064302. 汤渭霖. 声呐目标回波的亮点模型[J]. 声学学报, 1994, 19(2): 92-100.